Today I am starting a new weekly feature of wishlist and must-have items. 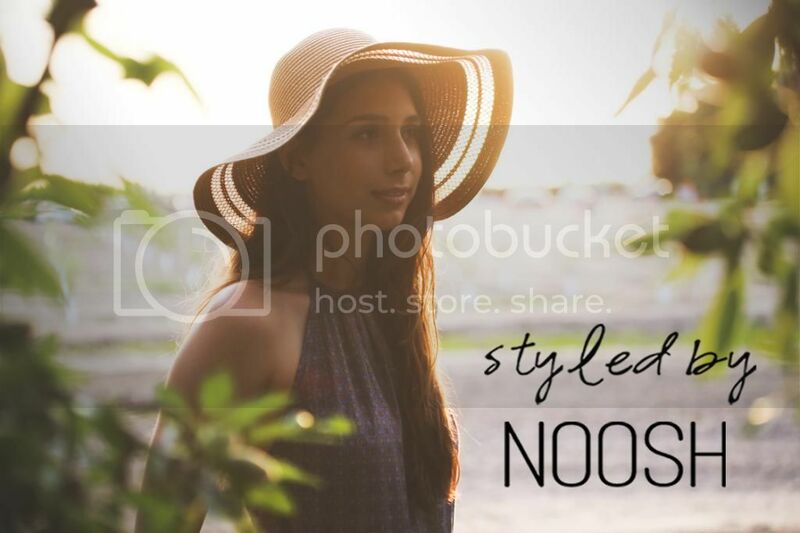 Summer is right around the corner, and having the perfect handbag companion is so important for looking stylish while efficiently getting the most out of all the vacation getaways, music festivals, and/or backyard kickbacks you are looking forward to. I really find that this season is the best time to go a little crazy with pops of color. Don't be so concerned with matching; just have some fun and add energy and life to all your summer outfits with these playful yet very functional pieces. 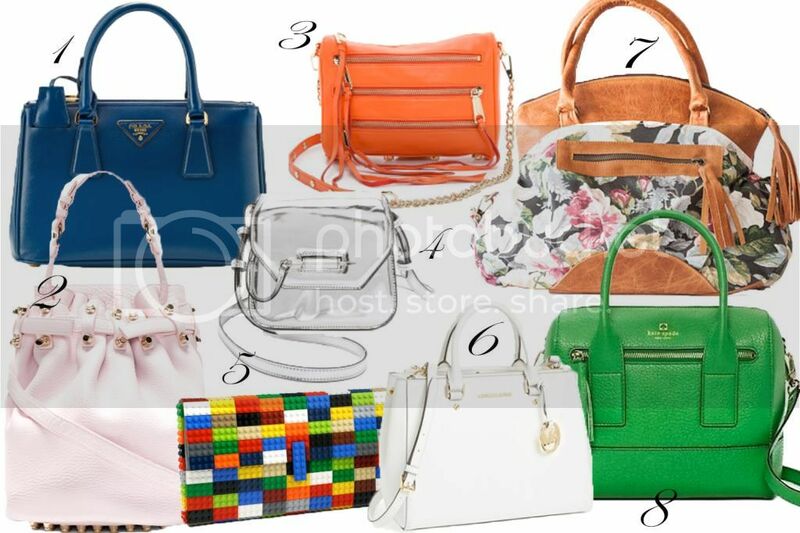 The crossbody double zip satchels from Prada and Michael Kors are the ideal shopping and vacationing purses; small and lightweight but large enough to fit your summer book, phone, wallet, tablet, and sunglasses. For the long and grueling hot summer music festivals you need to be organized and prepared for anything but certainly don't want to be carrying a suitcase. The Rebecca Minkoff 5 Zip crossbody and Floral shoulder bag from Milloo will allow you to be carefree yet still equipped with all your survival needs. I love the pastel pink Alexander Wang! Cute and edgy in one! The Lego bag is really funny !